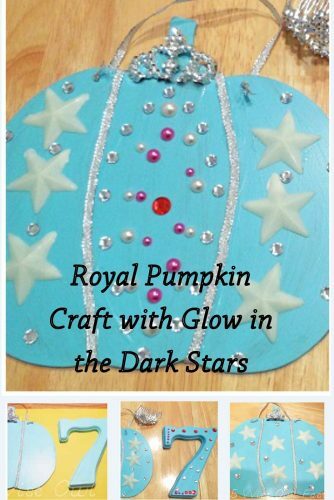 This pumpkin craft post has information about making a royal pumpkin with glow in the dark stars. 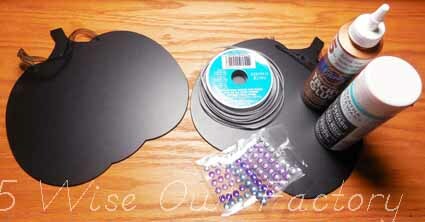 See the pictures and information below to see how this was done. We had so much fun making these decorations. 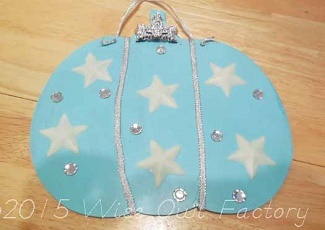 First, gather the supplies which include a wooden pumpkin, paint of your color choice, plastic glow in the dark stars, plastic stick on jewels, glue, and ribbon. 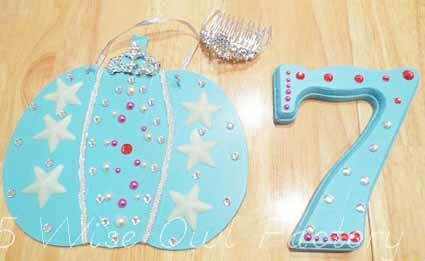 I added tiaras by cutting off most of them and gluing the middle to the top of the pumpkin. While we were at it (the most expensive words) we also decorated wooden numbers representing our ages. 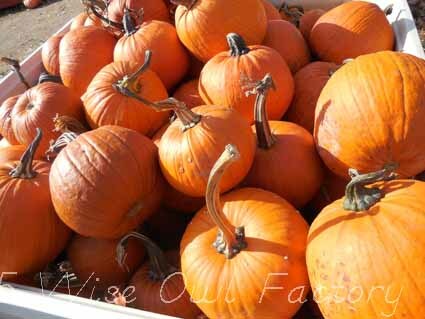 If the finished pumpkins are hung were they can absorb sunlight during the day the stars should glow at night, too. 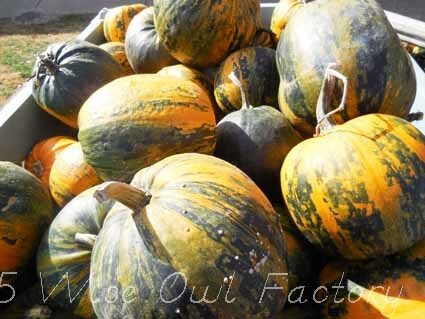 The wooden pumpkin shapes were painted and left to dry. Then, ribbon was glued on. 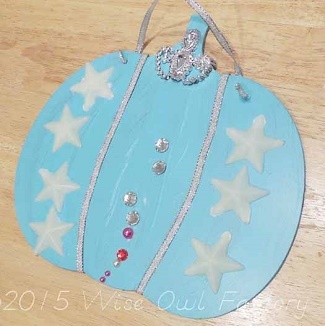 The larger glow in the dark stars were glued on prior to adding the smaller stick on jewels. 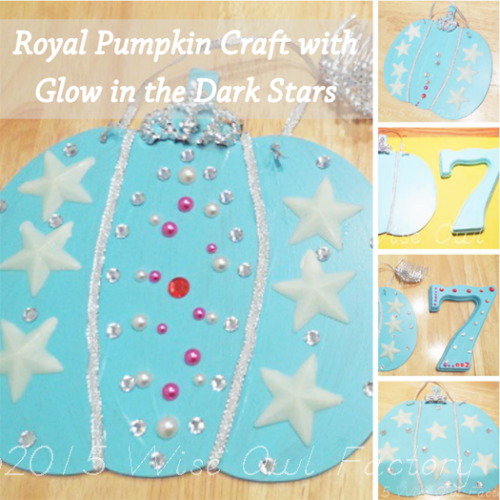 When working on the pumpkins, formal dress and earrings are optional. 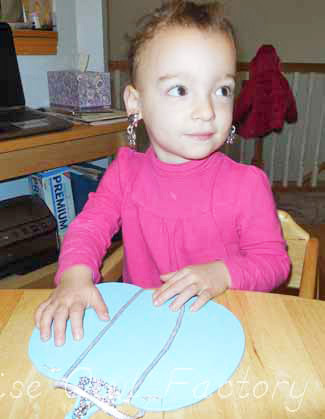 The children were free to add the decorations as they wanted, resulting in different designs. Another pumpkin was decorated this way. 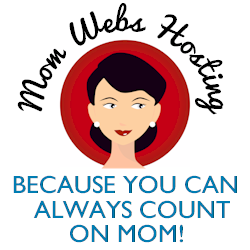 And yet another creative design! Fall is such a wonderful time of the year with the vivid colors and scenery. We have so enjoyed visiting the pumpkin patches and apple orchards. Children are impressed with the variety of colors and textures. So am I! 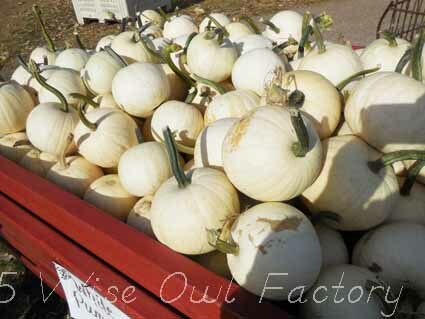 We were informed white pumpkins cost more than orange pumpkins due to the fact they weigh more. 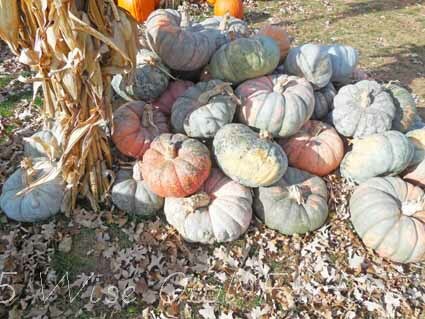 Here are photos of some of the pumpkins we saw this fall.